Former NFL Brandon Browner was arrested on Sunday afternoon. 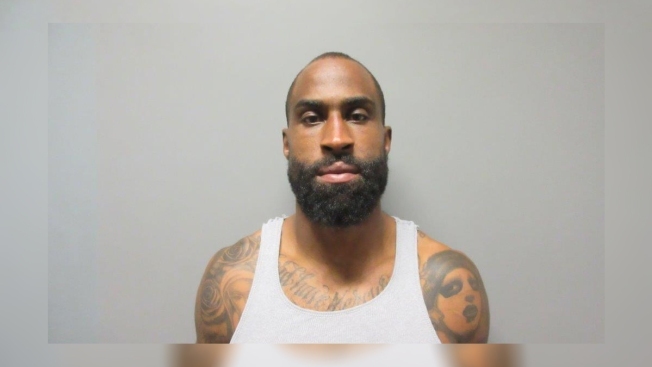 Former NFL player Brandon Browner was arrested Sunday afternoon near Azusa, California, after being wanted for a long list of charges, including kidnapping, burglary, false imprisonment and violation of a restraining order in relation to an incident that took place earlier in the morning. According to the La Verne Police Department, officers responded to a call at 10:07 a.m. on Sunday morning related to a man who broke into a home through a locked window. Browner was identified as the intruder and allegedly physically forced the victim back into her residence when she attempted to flee. The former NFL pro allegedly physically harmed and made threats to kill the victim inside the residence, per the La Verne PD. Browner allegedly fled the scene before police arrived but took a Rolex watch valued at $20,000 from the victim before leaving the home. In addition, Browner had a previous relationship with the victim and had previously been arrested for domestic violence and was restrained from the victim, according to police. La Verne police located Browner on Sunday afternoon and took him into custody on felony charges related to the morning incident. The Los Angeles native has previously been arrested for domestic battery and child endangerment in 2018 and possession of cocaine in 2017, according to TMZ. The 33-year-old was born in Los Angeles and attended high school in Sylmar. Browner won two Super Bowls during his 11-year professional football career. The former cornerback was elected to the Pro Bowl in 2011 and played for the Denver Broncos, Seattle Seahawks, New England Patriots and New Orleans Saints during his NFL career, which spanned from 2005 to 2016. Browner also played for the Calgary Stampeders in the Canadian Football League.